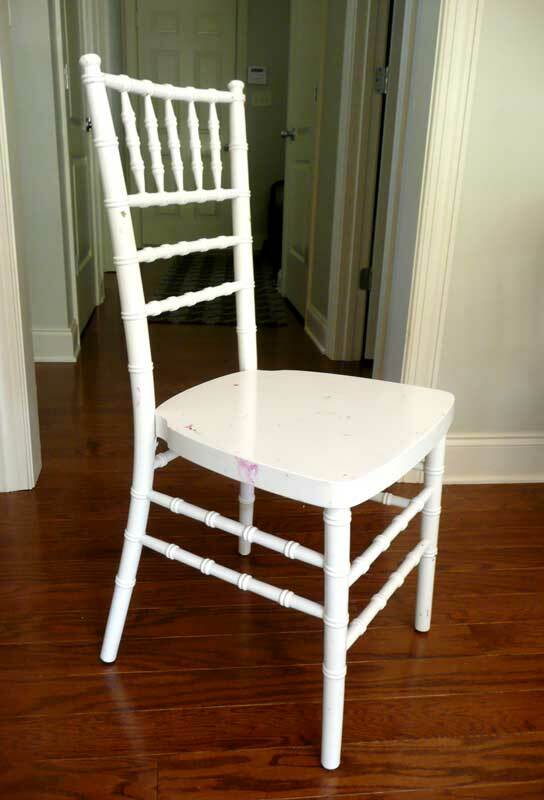 Do ya'll remember this chair I bought a few weeks ago at a yard sale? 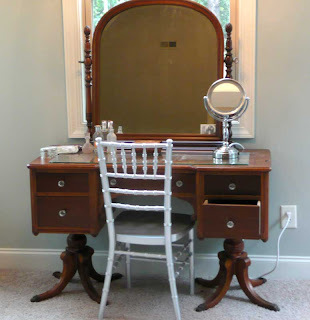 Doesn't it look good at my dressing table? It adds just a little glam to the room. I'm working on getting our Master Bedroom all figured out and put together, so watch for a "Price My Space" type tour of it soon! It looks so glam! I love the look of mixing metals with old pieces ... very chic! Very glam! I wish I found bargains like that! 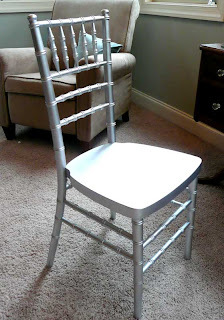 The chair looks great with some silver sparkle!! Isn't paint a wonderful thing! I love it silver! It's so stylish! I hope you'll come by for a visit. Who would've ever thought to paint it silver! I love that touch of whimsy. Looks great at your dressing table. I love it in silver. Never would have thought of that. A little adds a lot to a room. Very nice. 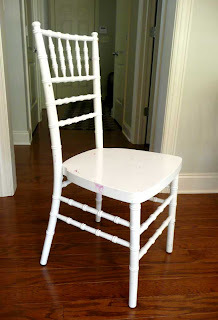 I have always thought paint is the home decorations best friend.